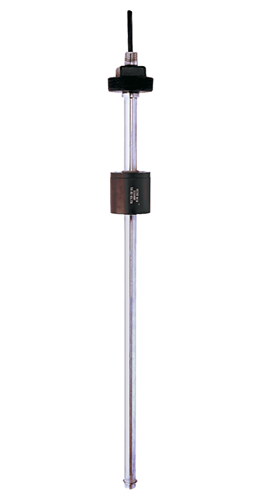 Gems® type XM-66400 & XT-66400 large size float level sensors are designed for tanks up to eighteen feet (549cm) in depth. Heavy duty stems resist turbulence, and float options accommodate liquids with minimum specific gravity as low as 0.53. Standard resolution is ½”, higher resolutions are available upon request.